There is a sort of overlap in tuning in on the revolution and the government in Egypt. That’s caused either by incessant media campaigns denigrating the revolution in the public eye or by the torrent of government crises news, which make people lose sight of the revolution’s achievements. In effect, the Egypt revolution ended a reign of corruption and tyranny and returned the country to its people. It brought a Pharaonic era to a close, restored civil liberties, ended minority rule and empowered the masses to have the final say on their government. But why did Egypt’s post-revolution administration stumble? One explanation is that decade-long tyranny not only destroyed Egypt’s political and economic present, but its future as well. The other explanation is the preclusion of all and sundry from Egyptian politics save for a restricted group of loyalists handpicked by the former president. As a result, the political class was neither coached in managing state affairs nor shown the ropes of state administration. This political class was also shut out from any communal endeavor to promote the national interest through state institutions. The heavy legacy left by the deposed regime, such as the ruination of politics, the economy, state institutions and society. Mismanagement of state affairs by President Mohamed Morsi and his team and their reneging of election promises. Everyone in Egypt is now aware that although it made good progress over the years in running its own business, the Muslim Brotherhood did not make the grade in reigning over and managing society. That is the root cause of the current crisis, which led to the political stalemate in Egypt. Overcoming the political deadlock requires a lot of wisdom, courage and foresight, all of which seem lacking – at least for the foreseeable future. In the case of all four or five Arab Spring countries, revolt proved much more profound and far-reaching than actual or prospective regime change. The new manifestations that are kept in the public eye day and night by the media touch only the surface of the spirit of rebellion, which drove ordinary citizens to protest loudly against oppression, corruption and social injustice. The discrepancy made me distinguish between what I call the “tumultuous spring” and the “silent” variety. “Tumultuous spring” came out in the open and called for regime change in some countries. By contrast, the “silent spring” chose to express itself calmly through the social media. The open letter calling for reform, which Saudi cleric Salman al-Odah posted last month on Facebook and Twitter falls in the latter category. Odah specifically called for ending the practice of media control, information censorship and the release of political prisoners. Other reformists made similar appeals elsewhere in the Gulf. 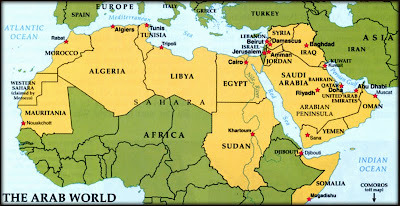 From this perspective, I believe the pan-Arab nation is meanwhile facing an existential impasse that needs addressing. While historic change looms on the horizon, a vacuum hangs on the Arab arena. Observers fail to spot a leader or a plan the Arabs can rally around or defend. When focusing on the Arab arena, all they spot are three endeavors: the Turks are expanding economically, the Iranian politically and the Israelis through land grabs to build settlements. Moreover, changes on the ground suggest the region’s maps are being reconfigured and a new Sykes-Picot Agreement is being contemplated. Iraq faces partition after having been steamrolled by the United States invasion. Iraqi Kurdistan has almost seceded, and nothing keeps the lid on its independence other than the absence of a public declaration of self-determination preceded by a ban on hoisting the Iraqi national flag on its territory. A forceful call is also being made to divide Iraq into three regions – one for Kurds, another for Shiites and the third for Sunnis. Syria is poised to follow suit, especially that its regime seems on its last legs so far. Should the Assad regime fall, contingency plans are already in place to declare an Alawite state along the country’s coastline. In anticipation, Syria’s central bank reserves have reportedly been moved to Latakia, whose seaport and airport are being upgraded. The side-effects of the Syrian regime’s collapse would allow for (a) a shift in the balance of power in Lebanon at Hezbollah’s expense (b) a shot in the arm to the Sunni uprising in Iraq (c) a rekindling of the Kurdish issue, which explains Turkey’s recent preemptive peace deal with PKK leader Abdullah Ocalan, and (d) rethinking and re-planning in Tehran, particularly that a blitz by Israel on its nuclear facilities is not off the table yet. The Palestinians of the West Bank and Gaza Strip remain in limbo and the risks of a third Intifada erupting mount. Sudan’s South has broken away from its North. In Yemen, calls are growing louder all the time for the secession of the South. Morocco is grappling with the Tamazight movement’s political demands shortly after recognizing the Tamazight language in its new constitution. Over and above the widening schism between its Sunnis and Shiites, the Arab world finds itself riven by rifts between the Salafi movement and Ennahda Movement in Tunisia, between Salafis and the Muslim Brotherhood in Egypt, and between Salafis and seculars in Algeria. These are ample indicators of how the Arab world is liable to break up. The process of restructuring it is quietly moving ahead while it remains unfazed or unaware.